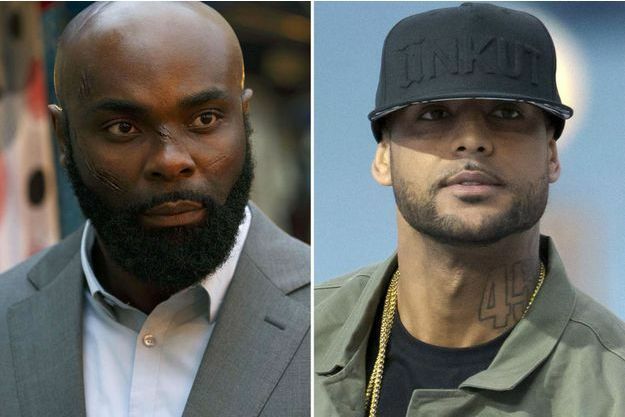 Flights at a Paris airport were delayed Wednesday after a brawl between French rap stars Booba and Kaaris and their entourages. The two rappers were held for questioning after the fight, which forced officials at Orly airport to temporarily shut down a departures hall. Videos of the incident taken by passengers and posted on social media showed the men scuffling in a duty-free shop and the waiting lounge, which were crowded with travellers at the height of the summer holiday period. Border police detained 11 people after the fracas in Hall 1 of the airport’s western terminal, according to police and airport sources. “A small number of flights were delayed by 15 to 30 minutes at the time of the fight and the lounge was temporarily closed,” Orly’s operator Paris Aeroport said. The two rappers were on their way to Barcelona ahead of a concert, an airport source said. The pair have known each other since 2011 but Booba, one of France’s most popular rappers, has reportedly fallen out with Kaaris in the past after he failed to support him in a dispute with fellow French artist Rohff.